Well its been a busy last few weeks getting ready to start the school year. Ready or not, here come the kids! 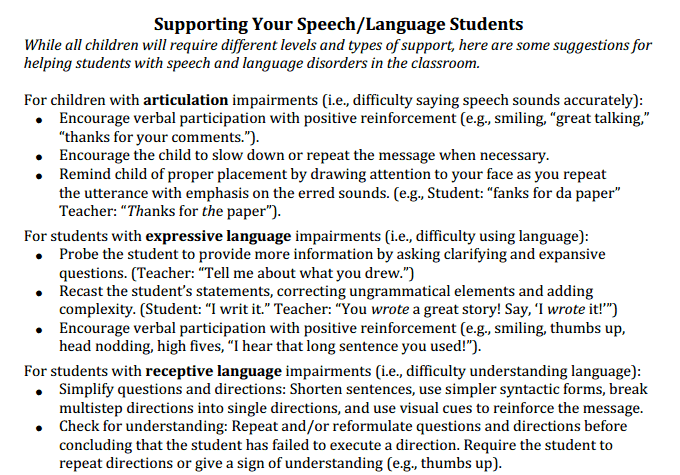 Although I'm sure many of you are way beyond this stage of planning, I thought I would share with you some of my beginning of the year materials. I hope they're helpful! 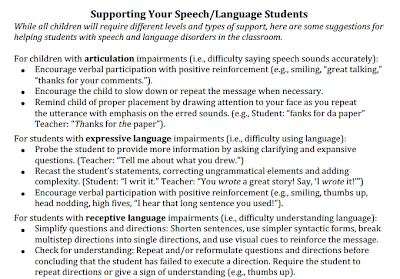 Supporting your speech students guide for teachers: In addition to an "IEP at a glance" page with the accommodations and supports for each speech student, I am going to give teachers one of these. How have your preparations been going? Are you READY? !